I love one-pot meals, and Greek cuisine has plenty of them. All the popular vegetable casseroles are basically one pot meals. Pick a vegetable, add onions, tomato sauce and olive oil and you are done. 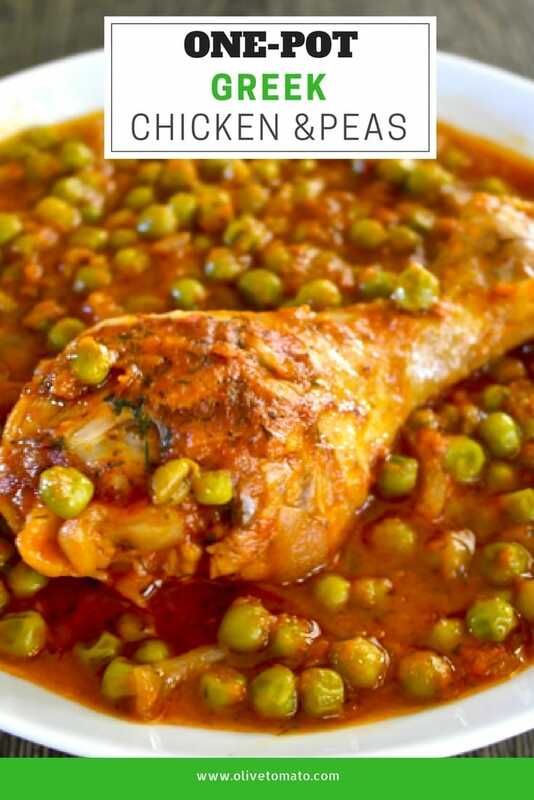 Occasionally there is a bit of meat to be added, mostly chicken, like this combo: chicken and peas. 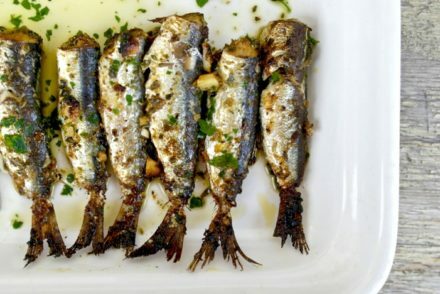 The abundance of Greek one-pot meals can be traced back to the fact that people simply did not have ovens in their homes, so they had to use the stove-top for most of their cooking needs. Even when they had ovens, they rarely used them. For as long as I remember, both my grandmothers hardly used the ovens in their home. My one grandmother who lived at the village, would only use the oven if she was baking bread, since the oven was on, she would plan to add a dish that needed roasting, but otherwise she would not use it unless she was baking. My other grandmother who lived in a large town, had an oven installed in her home in the 60’s, but she would send any meal that needed to be roasted to the local bakery where they would cook it for you in their large ovens. This was quite common in those days- when lunch time came around everybody would go by the bakery to pick up their pan with the family meal. 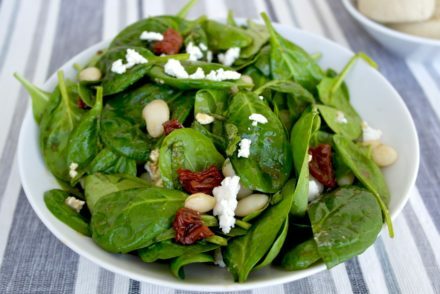 Generally, meat in the Greek diet is not the main focus of the meal. With the exception of Easter and some other holidays where the lamb or pig is the epicenter, in traditional everyday cooking meat is consumed sparingly and when it is, it plays the role of the side dish. We already know that for Greeks meat was a luxury reserved for special occasions and weekends. Chicken was more common, but again it had to be “spread out” with plenty of vegetables to feed a whole family, hence the combos we see. 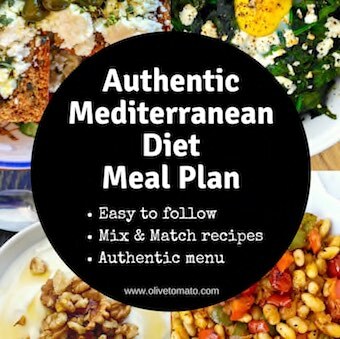 This type of dish that came out of a need, is essential to the healthiness of the Mediterranean diet, we basically see a plate that is 2/3 vegetables and 1/3 meat or some other protein. 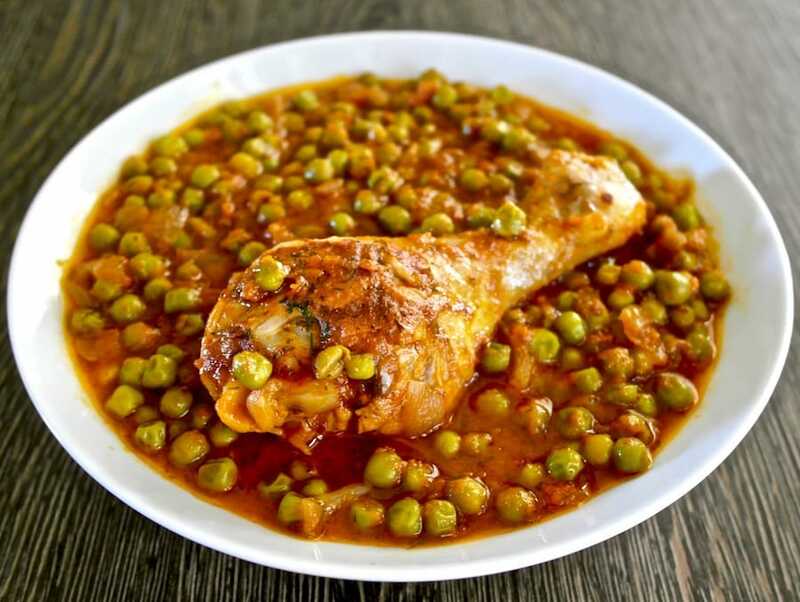 When cooking this, it is important that you cook the chicken and peas together rather than separately, the peas absorb all the flavors of the chicken. Now, in case you avoid meat altogether just head over to the traditional vegan version of Greek peas here. For this recipe, I’ll often use frozen peas which I always keep on hand and that way I can make it any time of the year. Also, as this is considered a lathero dish, it tastes better lukewarm or at room temperature, not hot. Heat the olive oil at moderate heat in large pot. Sauté the onions for about 2 minutes. Add the drumsticks and brown the chicken turning for about 3-4 minutes. Add the wine and stir and scrape any pieces stuck to the pot. Add the tomatoes, water, tomato paste, salt and pepper and simmer for 20 minutes, at this point you will add the peas. Add the peas, dill and the bay leaf and continue simmering for another 15 minutes. The dish is ready when there is no water left in the pan just the sauce. Hello. 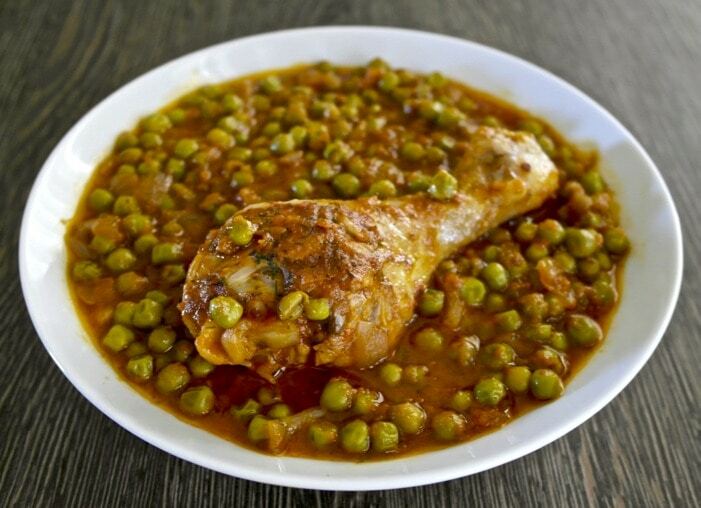 What would you recommend as a good substitute for the peas in this recipe? Unfortunately my daughter has multiple food allergies, including lentils and peas. Hi Anna, Other typical combinations with chicken are with green beans or okra instead of peas. You use the same method, but instead of adding dill you can add parsley. Eating this right now – so good. I have chicken thighs however. I could eat this everyday. One pot meals are the best. So much less clean up- sometimes it seems like cleaning up takes way longer than cooking and eating! Thanks for sharing. Would this work with chicken tenders? Hi! What would you recommend serving with this to fill it out a little more? I can see my husband and kids wanting more with it. Would you recommend rice or another vegetable? I’d prefer another vegetable over rice, but also maybe add some bread to dip? Thanks! Hi Keli. 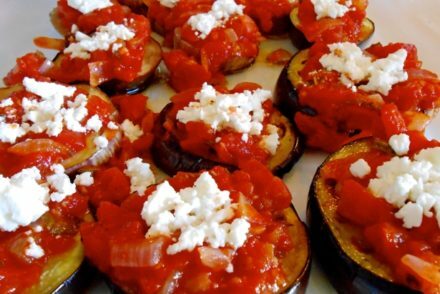 This is served with a bit of feta cheese and bread. A d I would add a salad on the side as well.